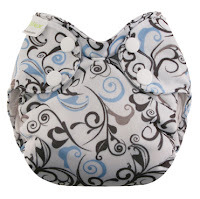 Lagoon Baby Cloth Diaper Updates! Lagoon Baby is your natural selection for cloth diapers and more in Canada. GroVia new colours - Citrus and Persimmon! Bottombumpers Summer Collection 2013 is now available for Pre-Order. We now carry Blueberry (formerly Swaddlebees) Newborn Simplex Cloth Diapers! Please contact us at natalie@lagoonbaby.com if you have any special product requests from any of the below manufacturers.